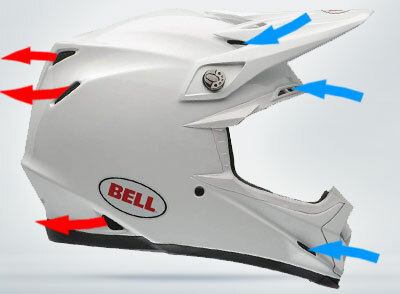 The Bell Moto-9 is a race proven helmet by the American manufacturer. The Bell Moto-9 is equipped with technical features that make the difference for competitive riders. The most important characteristics are explained below. The latest version is equipped with MIPS for extra protection. MIPS stands for ‘Multi-directional Impact Protection System’, a leading slide technology designed to reduced rotational forces that result from angled impacts. 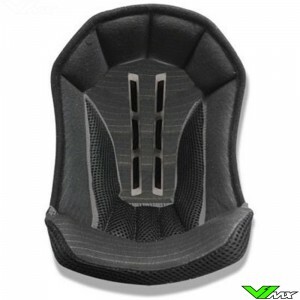 The protection is also optimized by using a combination of 3 materials in the shell: Aramid, Carbon and Glassfiber. 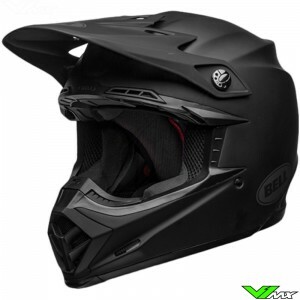 By bringing together these 3 materials in an innovative way, the prices of the Bell Moto-9 MIPS are much lower than a full carbon motocross helmet. Finally, Bell has built in the MERS emergency system for easy removal of the inner liner after an accident. The comfort of the Bell Moto-9 has been optimized by incorporating various functions and innovations in the helmet. One of the noticeable features for riders is the excellent ventilation system. The ventilation system consists of different inlet and outlet openings distributed over the helmet. 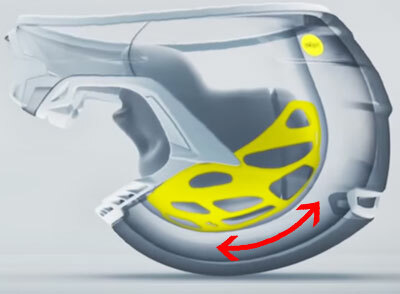 There are also channels inside the helmet in which the airflow is distributed. The moto-9 has a good fit through the X-static and XT-2 lining. This is a fast drying material that reels dirt and keeps the inside of this Bell motocross helmet clean. The inner lining can be removed, so you can easily clean or replace the paddings. Spare parts for the Bell Moto-9 are also available in the V1mx webshop. The Moto-9 is a good example of a race proven product. It has been worn for years by the best riders in the world championship motocross and supercross. Big names such as: James Stewart, Cody Webb and Jake Weimer all rely on the quality of Bell. The riders and teams chose this model because of performance-oriented features and excellent protection. With the new MIPS system the protection is even better. Bell has also released a new version called the Bell Moto-9 Flex. This motocross helmet has many similar features but also a lot of new innovative features. The Flex version has a damping system that is completely designed by Bell. 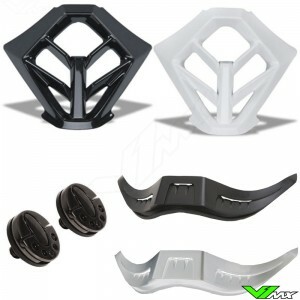 It also has a moveable inner liner which adapts to the head of the rider. 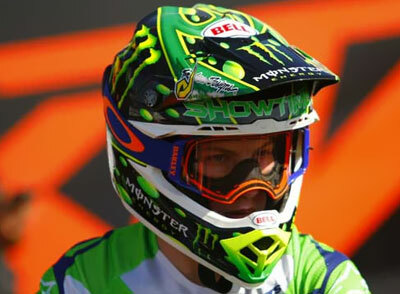 For all features of this advanced helmet you can check out the Bell Moto-9 Flex page in the V1mx webshop. 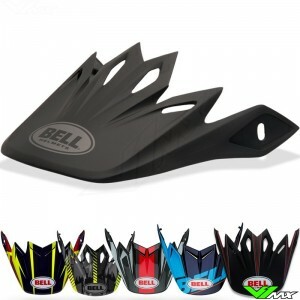 Bell is one of the most popular manufactures of motocross helmets. They have been producing helmets since 1954 and therefore have more than 60 years of experience. The company has brought a lot of new technology to the market to improve the performance and protection of riders. More championships have been won with Bell helmets than all other helmets brands combined, from motocross to Formula 1. Also in the area of graphic designs it is an innovative company. They have a design department that create the most beautiful helmets. In addition, they work together with companies such as: Monster Energy, Fasthouse, Seven and Tagger Designs to design unique moto-9 helmets. Check out the V1mx page regularly to keep up to date with the latest versions. Below you will find a size chart. You can easily measure the circumference of your head by using a measuring tape. Wrap it around your head, about 2cm above your eyebrows. Keep the measuring tape above your ears and measure the largest size. Are you interested in the Bell Moto-9 but still have a question? Then simply contact us by leaving a massage in the chat. 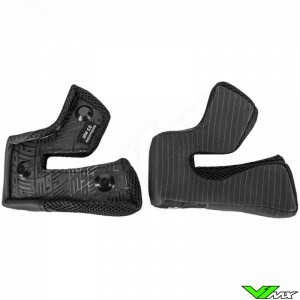 V1mx will gladly help you choose the right motocross gear. Besides Bell motocross helmets we have a lot of other brands available.